I took a Tap Tap from the center of Port-au-Prince to the Airport. I paid 10 Gourde, or 25 cents USD. The flight left one to two hours late. 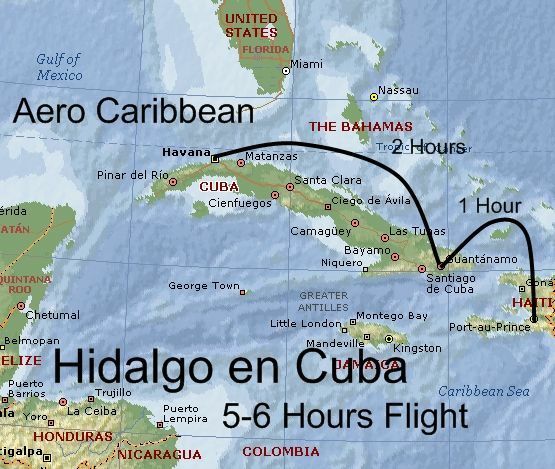 The cost was 600 USD round trip from Haiti to Cuba with Aero Caribbean. The plane had a propeller, however was large as a small jet. We stopped in Santiago, Cuba for immigration, then returned to the same propeller plane for the final two hour flight to Havana. Aero Caribbean was very disorganized, the paperwork in Port-au-Prince was done by hand. They hand wrote the tickets by hand and boarding passes. The process of entering the plane was slow because many people were taking extra luggage. The cost was three dollars per kilo, and many people were paying hundreds of dollars. There were many motorcycle tires being checked in at the Port-au-Prince airport. The rest was clothes people were taking to Cuba to sell. 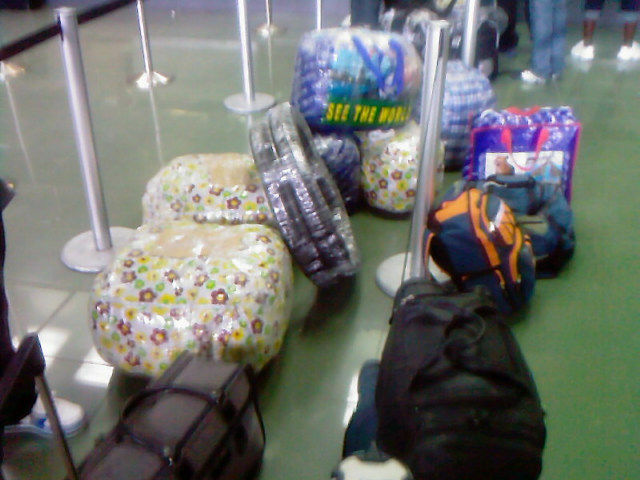 The majority of the passengers carrying these large packages left the plane at Santiago. All bags need to be wrapped in plastic, or locked, many times bags are open and items removed. A Norwegian a year ago lost a computer, camera and many person items from a locked bag, the opened it after they were checked in on her flight to Europe.